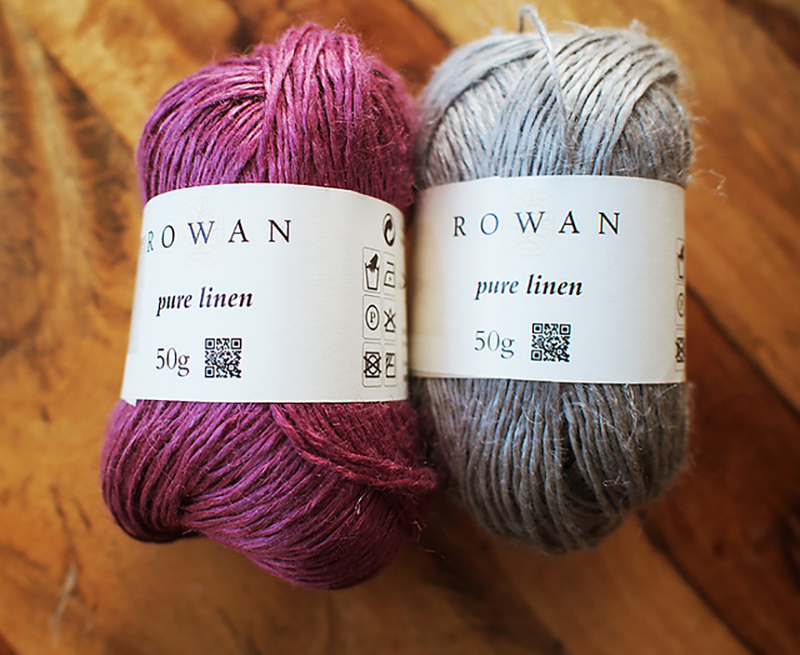 When Rowan announced that one of the new Spring/Summer 2014 yarns was a 100% linen blend called Pure Linen, I was intrigued! I had never used a pure linen yarn, but had felt (and pulled my hand away from) many that were mighty rough on the hands. Euroflax, I'm looking at you. I received two sample balls from Rowan and really loved the silver color Arizona in particular. And what do you know, the accompanying booklet The Pure Linen Collection, had a great top that would be a quick but interesting to make. The book highlights that this yarn can be used at a lot of different gauges. Palm Cove by Lisa Richardson is designed for a loose gauge and only needed 4 balls for a long-sleeve top, woohoo! Also, the open-back detail is big in fashion these days. Can you believe how perfect the dress was for this top?! Well, as you can tell, the open back didn't work out! Two big issues emerged. First the bottom was sloppy and wavy, a fact that I believe is hidden by the model's arm. Try to pick up less stitches in the straight hem. Now, this could have been me. The way the top is made, you create the backs and front and then pick up along the edges and knit downwards for the ribbing. If you pick up too many stitches, it could be wavy. But if you pick up too few, it gathers the fabric (which I like less). Also, how tight you bind-off makes a huge difference. I really think I did the best I could... but still, not a high impact piece at all. Just, meh. The other problem was the neckline. You see, you have two overlapping backs compared to a single layer lacy front. Unexpectedly, the weight of the backs pulled up on the collar in a seriously choke-y way. Uncomfortable. I was disillusioned, but then I thought... what if I turned this sucker around?! Whoah, it fit perfect! The wavy hem was ok in the back, especially since it was lessened by my tush. :) And without the unequal weight in the back, the neckline was very comfortable. Whatever way you like to wear it, I do suggest you secure the opening with a running stitch right near the bind-off. Otherwise, the parts will shift and you will find yourself adjusting the fronts instead of catwalking and showing off, naturally. Another thing to consider if you make this top, is how you increase to make the curved backs/fronts. They are made by increasing quickly and then slower up to the neck. If you like M1 increases like I do, this presents a bit of a problem. M1s are the most invisible increases, but they also steal yarn from adjacent stitches. This is usually fine, but for an edge where you increase every row, you will notice quickly that it is getting really tight on the edge. I highly recommend that you make a yarn-over in the row before to give extra yarn available for the M1 when you get to it. You can see more specific photos on how to do this in this post. Finally -- this is the kind of top that really needs circular sleeves, and I regret not doing it. The seams are bulky and the gauge is too see-through for that. Make the effort to do these sleeves in the round, you will be pleased. 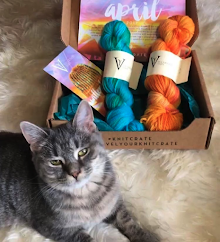 Ok, so are you ready for my thoughts on the yarn? This is the easiest review ever, because I LOVED IT. It is my favorite yarn from the whole Rowan year, maybe the last 2 years! It may feel firm when it's in the ball in the store, but it is so soft when you knit it you will not recognize it as linen. Since making this top, I have been making a bag with Quince & Co.'s 100% linen Sparrow yarn. After a few hours, I simply must put the knitting down, because my fingers feel raw, even though the fabric is lovely. I would have to knit a lifetime before I felt that with Pure Linen, seriously. Also, I must say, the shine is impressive -- like a flaxen-haired maiden from a fairy tale. 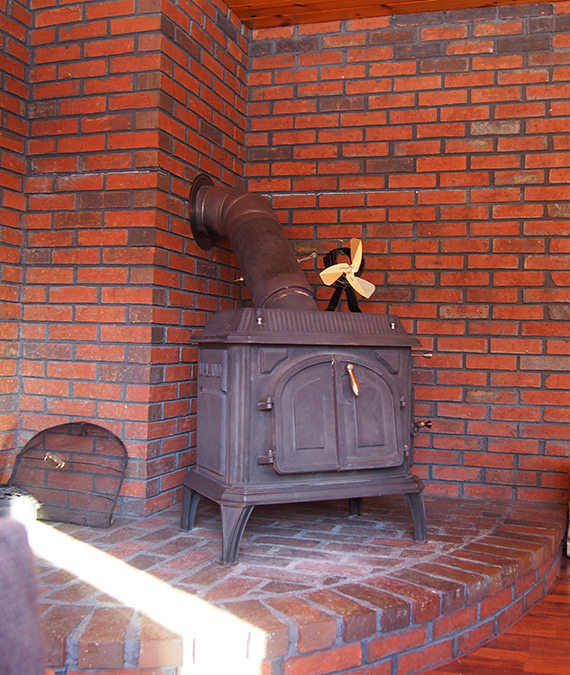 The yarn is loosely spun and quite thick and voluminous, and so it can handle many gauges beautifully. With the softness comes some delicacy however. I don't mean this stuff will break... once I was left without scissors and my teeth could not rescue me, it is definitely strong! 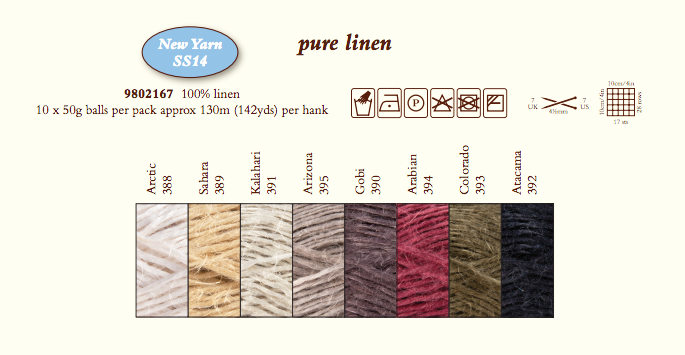 But, because of the softness and spin, fibers will come off easily and small hairs will wisp away. I found that blocking tamed a lot of these fibers. In fact, this was the most satisfying blocking experience I've ever had... when I lifted the pieces they were like pristine sheets of cardboard, go linen! So Rowan fans... do you know that July 15 is already the release of the Fall/Winter season and Rowan Mag 56?! Oh dear, I am in trouble. I've seen everything and I can't wait to show you my favorites. And I have REAL NEWS, I am traveling to the Rowan mothership in Holmfirth, UK at the end of of the month and will be able to see some of these pieces in person. So, double info for you all! 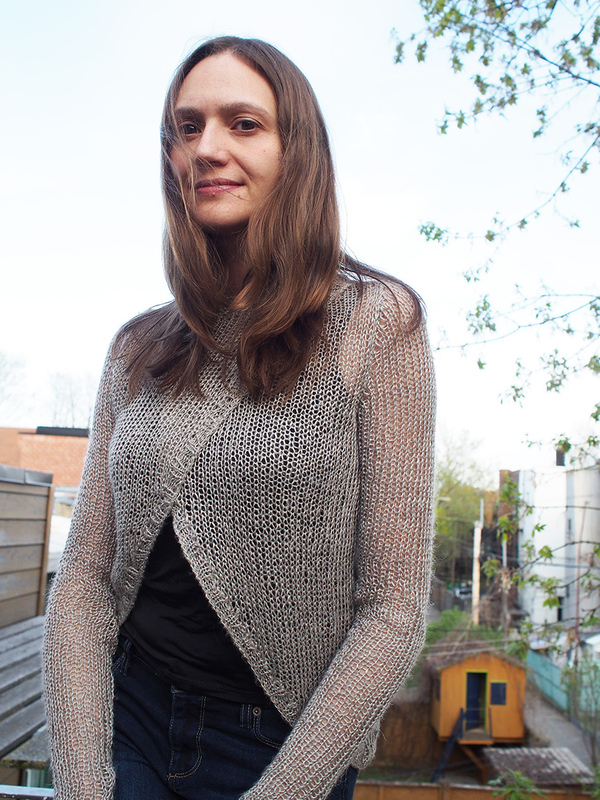 If you'd like to stay in tune with the Rowan spoilers, check out my Facebook Page Dayana Knits. I think it looks even better back to front. I hate the way photography disguises design flaws (the sloppy hem). 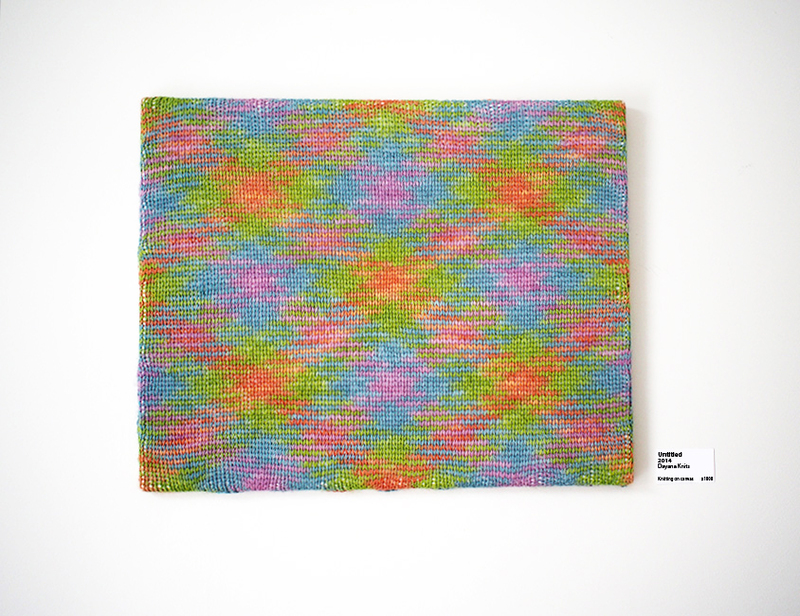 When I started knitting 30 years ago, patterns were photographed in a fairly boring way, but you knew how they were going to hang. I fancied this design, but your comments on the sleeve seams have put me off - I cannot knit in the round. The information you give and your photos are so helpful. It's so common these days to have artsy shots, but I agree with you about the boring knitting photos, at least you see what is going on! Very elegant - I really like it back to front and it looks great over dresses. I've been eyeing the Pure Linen everytime I go into John Lewis (which carries most of the Rowan lines) and it will probably be the first yarn I buy next year when my stash diet is over. I really like the sweater that Kristen knit and Arizona colour that you chose. Have fun in Yorkshire. I'm actually headed back to Canada in July and up to Sault Ste Marie to visit my brother - thanks to one of your posts, I've marked the address of the yarn store there! Now I can't buy any yarn, but that's not to say that my family can't buy some for me - early xmas gift perhaps! Oh man, I would love to go to that shop! Sault Ste Marie is probably never going to be on my travel path though, I looked on the map and it is soooooooo far. I'm SURE you'll hear about Yorkshire, hee hee! Your post is just too nice!!! Amazing what the flip from back to front did! Love it with the pink dress. 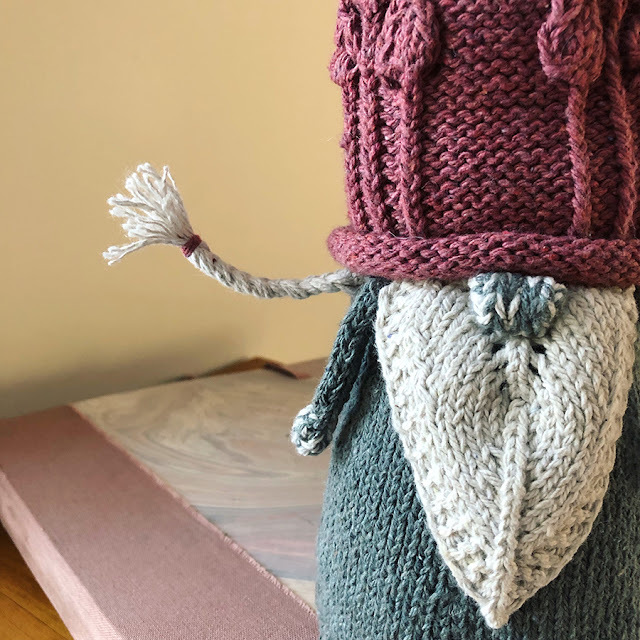 Also, I have to admit I giggled when I saw your chokey photo compared to the model's photo ;) Can't wait to see what you knit next! I must admit it's weird to set up the tripod so that I can choke in front of the lens, lol! There were 3 shots to choose from, the other 2 were ghastly. You really do have a flare for this knitting gig! I would never have thought to turn the thing around. You are also totally totally correct about the sleeves.The seam isn't working well at all. Quite unsightly in an otherwise high fashion piece. Yes, sigh! Good news though, I made a sheer top from Rowan Mag 55 and everything was circular for exactly this reason. So, some designs have it right. Looks great on you, prefer back to front look ! Really interesting article, thanks Dayana. I love it turned around !!! Me and knitting with linen have met and we don't get along but you have intrigued enough to give it another go! Yes, I especially recommend this yarn for people who have had battles with linen in the past! I love it turned around. Hey, I am featured in your blog! Thank you for that! I am still smiling at the picture of you choking on your linen sweater! It would have been a terrible way to go, esp. since you are going to the mother ship soon. That is exactly what my husband calls my lys, as in, do we have to walk by the mother ship today? Yes (and an eyeroll) is always the answer! lol! I need to stick you in every blog post, I'll make it like my own personal caption contest! Yes, until the mothership I am DEFINITELY wearing this top backwards, can't take any chances. Ha. I prefer your styling of this piece to Rowan's. And thanks for the tech tips, too; they're always welcome. Have fun at the mother ship! Thanks so much! I have no idea what to expect, but I imagine I will make it as fun as possible for myself. It is aggravating when you discover after making a piece that the way the model in the brochure photo has been posed disguises a design flaw in the pattern. However, it is a thousand times cuter the way you are wearing it, where it opens in front! It looks really arty and modern, actually! Love the idea of using the running stitch to secure the closure too. I know, argh! Of course, if you just pick up less stitches in the front I think it will all be fine. 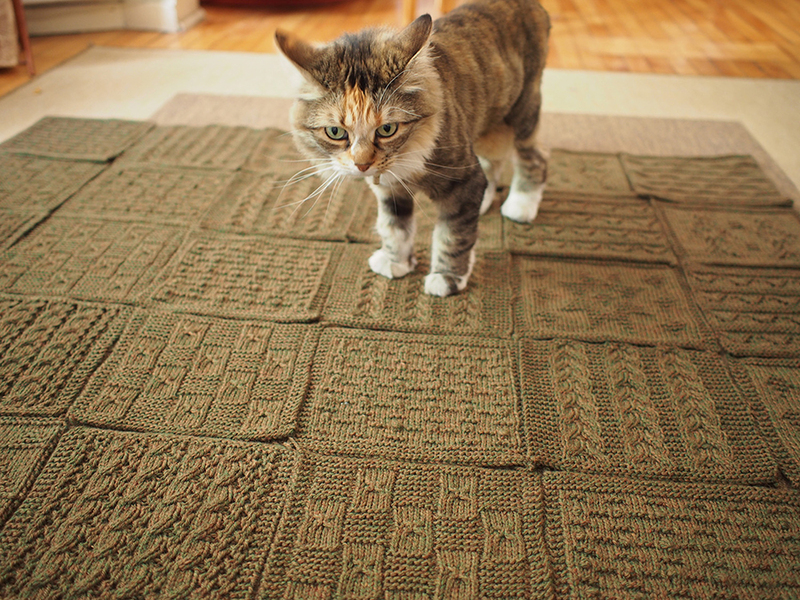 As for running stitches, you know how cardigan patterns are all fitted these days? Well, I almost always sew mine shut with running stitches! Hate gaping between buttons . I am working on the Toyama cardigan for my mom but having a terrible time getting gauge. I have used the 7, and a 6, a 5, and even now down to a size 2, the finished sweater looks to be lovely solid fabric and not open work. When using the 7s I got this lovely yet far too open work fabric. I have no clue how they got gauge and came out with what appears solid sweater fabric. After purchasing 11 balls of this wool in a charity shop for £3.49 the lot!!!!!!. I was researching the wool and found your blog. This looks great and your tips are brilliant thanks. Thank you for sharing that with me, it is beautiful. Hello! I have begun knitting this piece and have come into some issues with reaching the neckline. I am just wondering how you handled getting to the neckline when you shape the shoulders on the front piece. I think I may be reading the pattern incorrectly because I am left with 8 live stitches on the middle of the neck on a stitch holder after the shoulders are cast off. Do you have any suggestions to help me? You're doing it right! Look at p. 47 at the neckband section. You will see that while you are picking up for the collar, you will be integrating the 8 live sts into it. Good luck and thanks for reaching out!